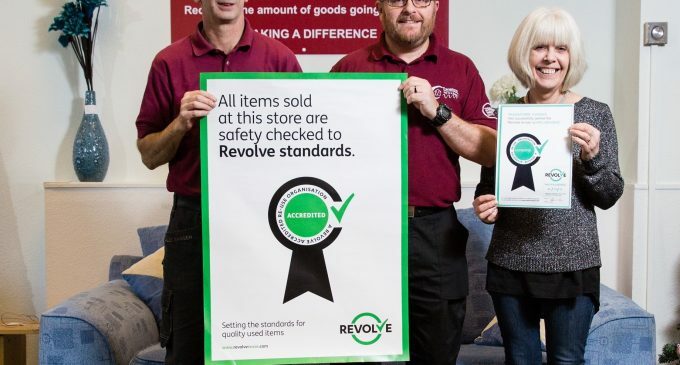 A second-hand furniture store in Dundee has been awarded Revolve accreditation by Zero Waste Scotland. Transform Furniture – formerly known as Dundee Cyrenians – is part of the Transform Community Development group. Established in 1975 to provide residential accommodation for local homeless people, the charity nowadays also supplies furniture packs for homeless people moving into new homes. Opening its Dundee shop on Commercial Street a year ago, they have witnessed a steady increase in demand for a wide range of household furniture items received from donations. Chief Executive, Simon Laidlaw, said: ‘People are much more comfortable these days with buying second-hand items as opposed to new, and our Revolve accreditation recognises the meticulous efforts of our staff who are committed to giving our customers great quality, value and service. The Revolve logo assures customers that they are buying from a reuse shop with a commitment to providing high quality second-hand products and customer service. Iain Gulland, Chief Executive of Zero Waste Scotland, added: ‘Transform Furniture not only reduces waste, it also creates local jobs and saves people money on what can be normally expensive items for the home. Customers wishing to pass on their unwanted items to their nearest Revolve store can call the national re-use phone line on 0800 0665 820 to have their items collected.